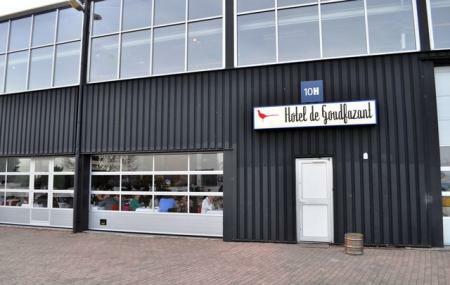 Hotel De Goudfazant is one of the best eateries in the destination. The place is famous for its open kitchen and architecture. The hotel specializes in creative Dutch-French dishes that come highly recommended by travellers and locals alike if you are in the area then be sure to drop by and have a taste of the cuisine that will spoil you for choice. Give the place a friendly visit and you will not be disappointed. Take a bus from Amsterdam, Hamerstraat or Amsterdam, Johan van Hasseltweg. How popular is Hotel De Goudfazant? People normally also visit Ij Tower while planning their trip to Hotel De Goudfazant. Spectacular food in an unusual setting. Multiple spaces, a fun area with unobtrusive table tennis and pool, great service but the food... truly talented chefs serving creative, unfussy and delicious food at great value. Would love to go back next time I'm in Amsterdam. Not a romantic place for a first date but a great place for just about everything else. A wonderful restaurant situated in a old car workshop that is called a hotel, but isn't. They beautifully balance between a casual atmosphere with personality, amazing food, thoughtful (natural) wine selection and surprisingly good yet unobtrusive service. Its an example of the strength of Noord: there is the space for good restaurants to strive for quality while not having to play it safe. The place is interesting and the food is okay. My vegeterian mushrooms were a bit bland. The entree was really good. Cheese platter is small and basic. It's a good place but a bit overrated in my opinion. Very nice place. Industrial setting. Relaxed and informal atmosphere. And excellent food. I wouldn’t go here for a romantic dinner for two, but great with a group (big or small).